Acupuncture is a form of healing that involves inserting fine stainless steel needles into particular anatomical points to correct inbalances in the body’s Qi (vital energy) flowing through the body’s meridians (channels). Practiced for more than 2000 years, Acupuncture is one of the oldest and most commonly used forms of medical treatment. It is still popular today in China and is growing in popularity in the United States. Current research has confirmed that acupuncture is effective for pain relief (tested against a placebo). Acupuncture can acheive powerful effects by unlocking the body’s innate healing potential. Acupuncture is based on Traditional Chinese Medicine (TCM) theory of the free flow of Qi and blood through meridians or channels that cover the body, similar to the nervous system or circulatory system. An acupuncturist will observe the patient’s symptoms and signs of disease and be able to locate the points on the body that will unblock the meridian and allow the free flow of Qi to continue. In this way, acupuncture regulates and restores the balance of the body. The western Bio-medical theory is that these needles stimulate special points that bring signals to the brain through peripheral nerves, which then allows the brain to regulate the body’s function through the nervous system and immune system, etc. It is similar to hitting different keys on the keyboard to let the computer work for you. Acupuncture needles are very thin needles made of stainless steel. The needles we use at ACMC are sterilized, single use and disposable. Most of our patients say that acupuncture is painless and very relaxing. If you have any concerns about the needles, please talk to Dr. He or Pan. An acupuncture treatmeant usually lasts around one and a half hours, and an herbal consultation will last around half an hour. If you are a new patient, please come 15 minutes early to fill out paperwork, or you may download and fill out the forms on your computer, print it out, and bring it to our office. We suggest that you eat a light meal about an hour before your appointment. What should I expect in an acupuncture treatment? The acupuncturist will ask you questions about your overall health, family history, and the symptoms you are currently experiencing. The acupuncturist will then feel your pulse and examine your tongue. He may also take your blood pressure if it is relevant. After the acupuncturist carefully considers the information that he has gathered, he will formulate a treatment plan, which may include acupuncture, acupressure (a combination of acupuncture and massage), or herbal prescriptions and life style suggestions related to your diagonsis. During the acupuncture treatment, you may feel warmth, pressure, or tingling. These sensations are usually mild and transient. If you have any concerns, please communicate with the acupuncturist so that he may adjust the treatment to your comfort. Most patients say that the treatment is extremely relaxing- some even fall asleep! What should I know about my treatment plan? Your practitioner will explain to you what problems you might be experiencing and the recommended treatment for these problems. The rigor of treatment will depend on the how long your problem has been going on, how severe your problem is, and the nature of your problem in general. 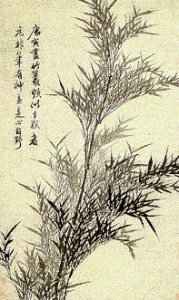 Although Acupuncture, along with herbal medicines can acheive remarkable results by themselves, we may recommend Western style treatments if your problem is severe enough or if your practitioner feels that more urgent treatment is necesseary.Your practitioner will explain to you the proposed treatment plan and tell you what other options (traditional or conventional) are available. When we wake up with itchy eyes, stuffed noses, and sneezing, we often blame allergies. Allergies are caused by an exaggerated immune response to harmless particles, like pollen (especially cedar pollen). These particles trigger the release of antibodies that attack the foreign particles, which causes symptoms that affect our respiratory systems. Western medicine tries to block this immune response, often causing side effects like drowsiness, suppressed immune systems, and reliance on drugs to control allergies. Traditional Chinese Medicine seeks to resolve the inbalance in the immune system, simultaneously strengthening it against harmful agents while lessening its reaction toward harmless allergens. At Acupuncture and Chinese Medical Center, we seek to find a compromise between eastern and western medicine. Your practitioner will ask you questions to help build up your immune system and solve the underlying deficiencies that may have caused your allergies. Asthma can be an annoying and persistant condition to live with, and some clinical trials have shown that acupuncture may improve asthma symptoms. Using a combination of both herbal supplements and acupuncture, many patients have reported reductions in severity and frequency of their asthma symptoms. Lower back pain, osteoarthritis, rheumatoid arthritis, general pain. Immune disorders, addictions, ADHD, weight control, fibromyalgia, chronic fatigue, skin disorders. Chinese herbal medicine is the main treatment method within Traditional Chinese Medicine. It is the world’s oldest, continually practiced professional medicine. Its history dates back over 5000 years. Chinese herbal medicine is based on an individualized pattern diagnosis as well as a disease diagnosis. The patient receives a custom written herbal prescription designed to treat their individual pattern as well as the symptom or disease. How are Herbal medicines taken? Does herbal medicine have side effects? Most of the components of herbal medicine have very minor or no side effects. When they are prescribed according to a correct TCM pattern diagnosis, they should have very few, if any, side effects…only beneficial healing results. There are a few traditional Chinese herbs that have been found toxic through research by the FDA. We will not prescribe herbs with toxic effects. If you have any further questions, please discuss with your practitioner. If you have any further questions that were not addressed in this web site, please discuss with your practitioner. You also can call to have a consultation by phone or in person.